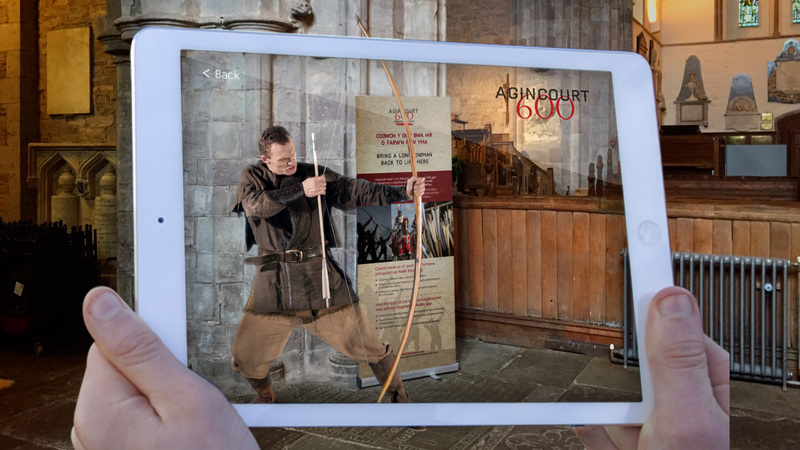 To create an unobtrusive, innovative visitor experience for Brecon Cathedral's commemorations of the battle of Agincourt without fixing any interpretation to the fabric of the building. 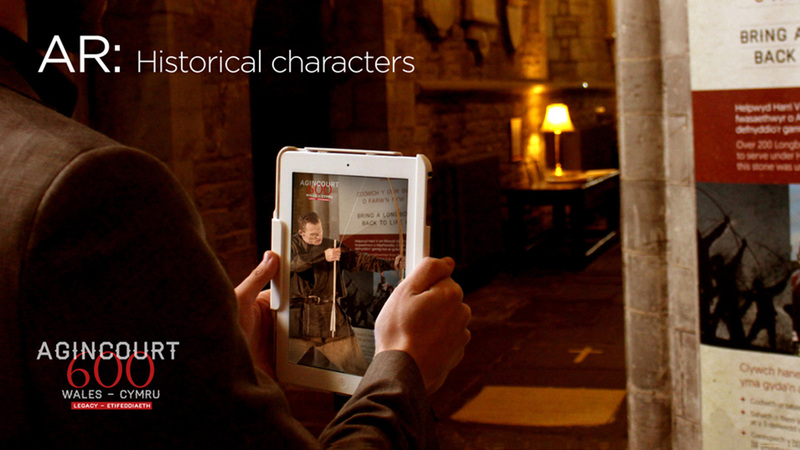 We created an augmented reality (AR) experience to bring a Welsh archer from the time, back to life. Using a pull up banner with an ipad tethered to a freestanding plinth to display the experience, we ensured the fabric of the cathedral wasn’t altered in any way. Triggered by an image on the banner, a life-sized archer appears via image recognition to tell the story of the sharpening stone that resides in the cathedral and how it was used to prepare his arrows for battle. Created in Welsh and English it offered an unobtrusive but innovative way to bring the past to life.